Here's how you can take part in the Horizon Zero Dawn Collaboration event for Monster Hunter World. Back before Monster Hunter World had even released on consoles, we know there'd be a Horizon Zero Dawn Collaboration Quest coming to the game. In this Monster Hunter World Horizon Zero Dawn quest guide, we'll be walking you through how to get your hands on Aloy's armor in the game, as well as detailing everything you need to know about the 'Heart of the Nora' quest, which rewards you with Layered Aloy armor. Should you instead need anything else on MHW, including how to quickly track monsters down using the Scout Flies, as well as how to perfectly cook a piece of meat, head over to our Monster Hunter World guides walkthrough hub, for all that and more. As of February 28, The Proving quest is available in the 'Events' section of the Quest Board in Astera, which requires you to take down a powerful Anjanath in the Ancient Forest. You'll need to hit Hunter Rank 11 in order to undertake The Proving, and you'll want to take fire-proof armor with you in order to combat the ferocious Anjanath. 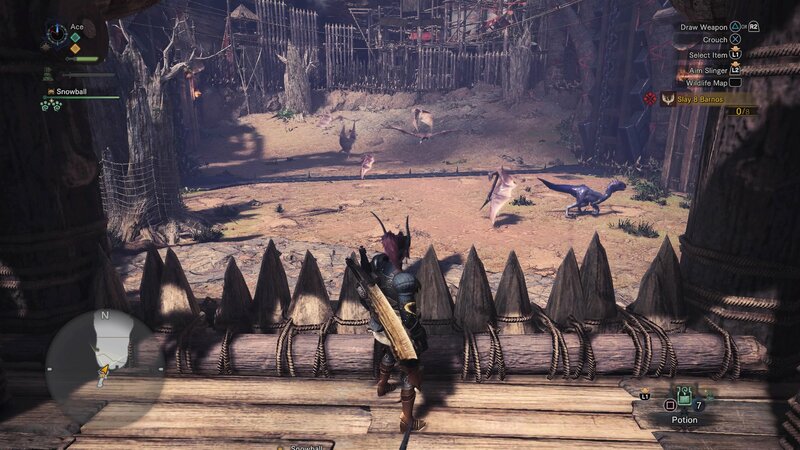 Once the Anjanath has been defeated, you can head up to the Smithy in the Workshop, and construct the Aloy armor A gear, as well as Aloy's Bow from the weapons menu. Capcom also revealed that the Lessons of the Wild and The Proving quest will be on a rotating schedule in Monster Hunter World, meaning that if you missed one quest, you'll be able to undertake it whenever it pops up again in-game. 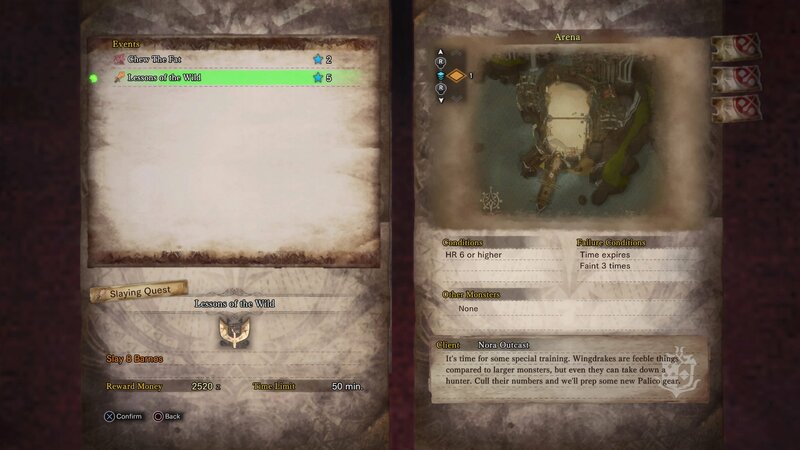 To unlock the new Watcher armor and weapon in MHW for your Palico, you'll first of all need to make sure you're connected to the PlayStation Network, and go to the Quest Board in Astera, where you'll find the Events option on the board. You'll then find the Horizon Zero Dawn collaboration event quest, which it should be noted is obviously only available for PS4 players of Monster Hunter World, since Horizon Zero Dawn is a PS4 exclusive game. Initiate the Horizon Zero Dawn collaboration event quest, which is actually called Lessons of the Wild, and you'll be spirited away to the Arena in the Gathering Hub area. You'll now have to defeat a total of eight Barnos, but there's also a pesky Tizti-Ya-Ku, which you can actually use to help you defeat the Barnos. Simply ignore the Tzitzi-Ya-Ku, and start attacking the Barnos with whichever weapon you opted to bring with you for the quest. After a short time, the Tzitzi-Ya-Ku will initiate it's stun attack, where the fins on either side of its head flash out a blinding light which leaves all in front of it stunned, the flying Barnos included. Use the Tzitzi-Ya-Ku's stun ability against the Barnos to catch them in the blast of light, and you'll have no problem defeating them once they're on the ground. Once the Lessons of the Wild quest has concluded, head to the Smithy in the Workshop, where you'll now have the option of crafting your Palico the Felyne Watcher Grinder as a weapon, and the Watcher armor set to match. We've listed all the required items for the crafting process just below. 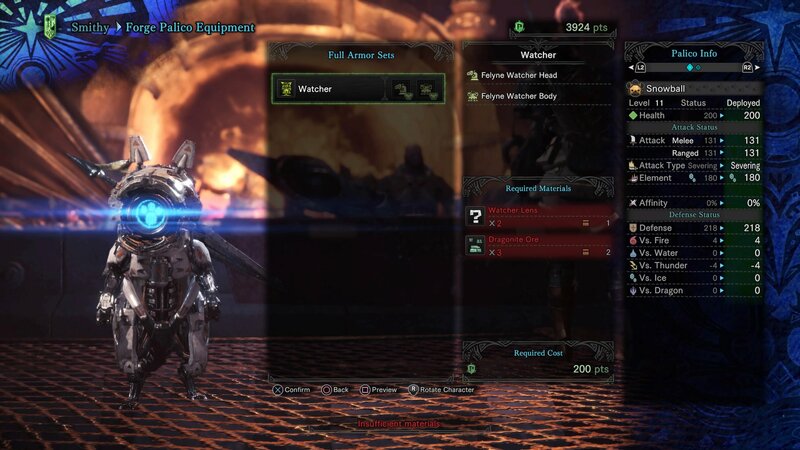 You'll note that the Palico's Watcher armor is listed under the 'full outfit' option with the Smithy, and this indicates that it can't be mixed and matched with other pieces of Palico armor, unlike every other item set. This isn't such a bad thing however, as the Watcher armor set is actually some of the more powerful gear you can acquire for your Palico. In late September, Capcom announced that there would be an upgraded version of the 'Heart of the Nora' quest coming to Monster Hunter World on PS4. If you can complete this quest, which tasks you with taking down two Deviljhos, you'll bag yourself the Layered Aloy armor, which is basically a buffed version of the existing armor suit. 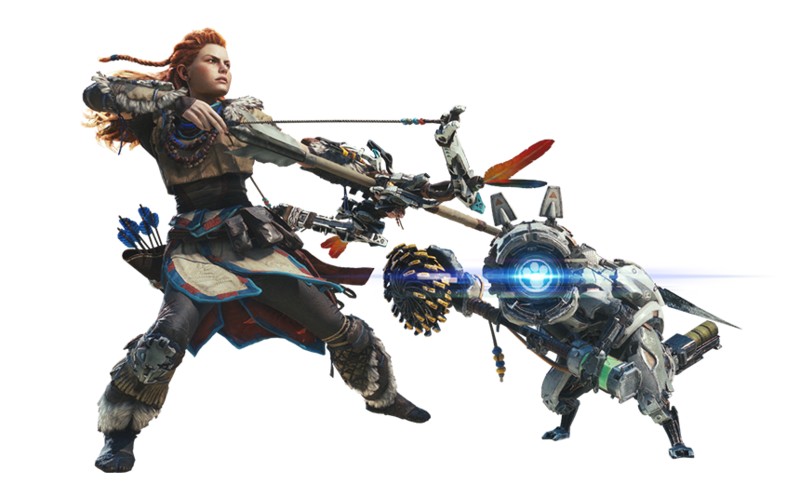 Now that we're all done with our guide on how to obtain Aloy's outfit and bow, why not check out some of our additional Horizon Zero Dawn guides, including how to safely capture a monster, as well as our complete weapons overview guide.